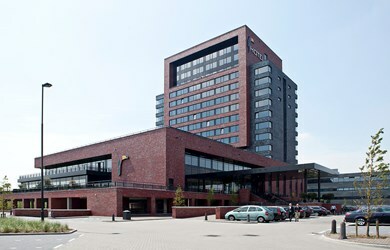 Hotel Goes is located at the beaches of Zeeland and in the pleasant shopping town of Goes. A luxury hotel with 132 spacious rooms and suites, 7 multifunctional rooms and an attractive restaurant with a cozy brasserie. 131 spacious rooms and suites with generous-sized balcony. A cosy place to relax after a strenuous day. 7 multifunctional function rooms, free parking and free wifi. Your business meeting succesfully organized in every detail. Live cooking, restaurant à la carte and cosy brasserie. Delicious food and drinks in an informal setting. We often base ourselves at Hotel Goes when we stay in Zeeland. It's a great location and we have always felt comfortable there. 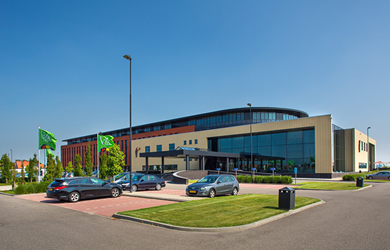 Hotel Dordrecht has all the luxury facilities that you expect from a 4 star hotel. Relax in the wellness center with swimming pool or dine in the atmospheric restaurant. Business guest? In hotel Dordrecht you organize your own meeting in one of the spacious rooms and spend the night in the best beds in the Netherlands!